KITsubs: Kamen Rider Stronger episode 34! The Delza officers are still trying to kill Stronger. 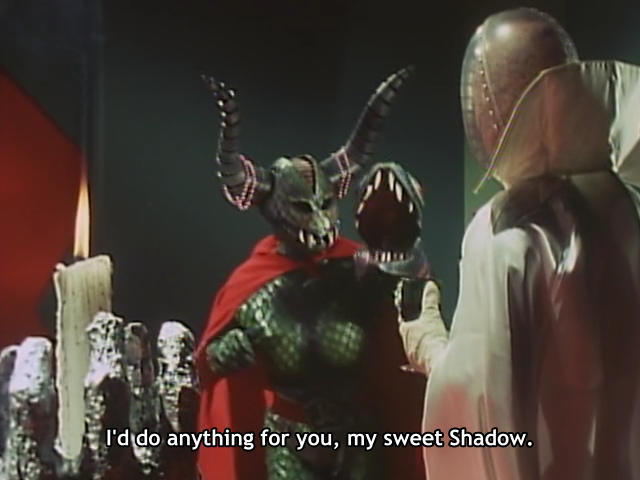 With Shadow manipulating things from behind the scenes, Stronger must face the deadly attacks of Commander Blank and Snake Woman! Snake woman has a plot to use her terrifying snake scales to possess humans and send them after Stronger. Will Stronger be able to defend himself when his opponents are regular humans? And... his own friends?! Stronger is nearing its climax. The Delza army is moving into position to launch their final attack. Will it be too much for Stronger to take on? We'll find out next week! Stay tuned, Skyrider 32 is up next. Thanks for watching, as always! Pfft that's just like subbers, *releasing things*... What happened to the good old days of six-month hiatuses? ?